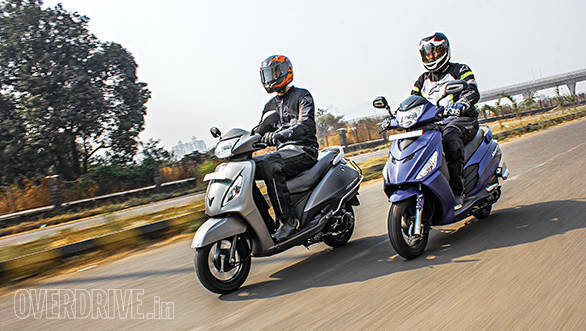 The TVS Scooty Zest is our current favourite in the scooter market thanks to its deliciously sharp and nimble chassis, strong engine and powerful brakes. However, quite a few folks find that the terrific little Zest is too compact for their liking. It's the reason why TVS finds that the bigger Jupiter is generating more sales than the Zest. 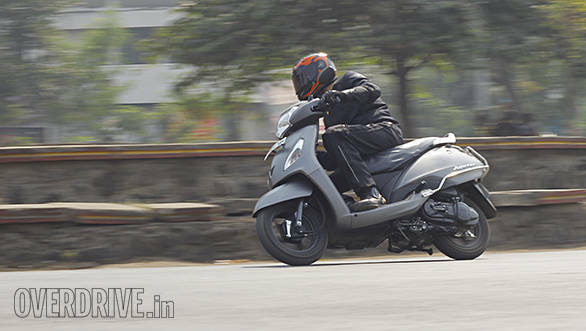 Meanwhile, Hero's new Maestro Edge impressed us to the point that it decisively won our latest Scooter of the Year award. 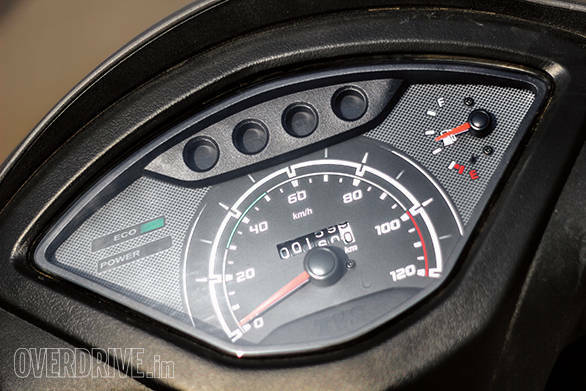 The question was clear  the Edge may be the best of 2015 but how does it fare against the TVS Jupiter, our current champ in the larger 110cc segment? This is where the Hero draws first blood. The TVS Jupiter is a rather handsome machine but takes a more subtle and thereby anonymous approach. In a sea of automatic scooters, it pays to stand out from the crowd without resorting to quirkiness. Hero has managed to do exactly that with the Edge. It looks bigger in the flesh and on a closer look there are plenty of interesting touches like the faux air intakes on the front apron and the little windscreen that sits above the headlamp. 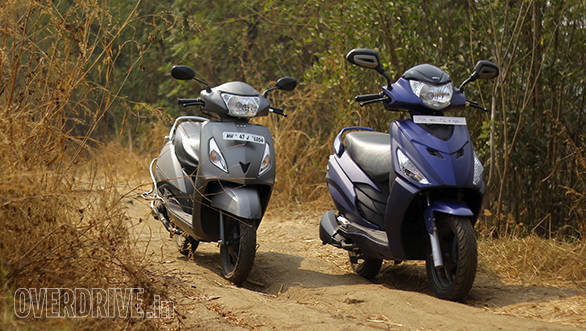 While the TVS uses a chunky front mudguard, Hero has gone for a much smaller but sleeker design. The Hero's side profile also generates more interest through the use of lines and creases in the bodywork. However it's the rear section that is the best angle on the Maestro Edge, with an interesting and unique looking LED tail lamp. The Hero also sports an excellent looking exhaust heat shield whose curvy titanium finished form will put many motorcycles to shame. The mirrors on the Edge also look funky but don't offer as much vision or adjustability as the Jupiter's more simple units. 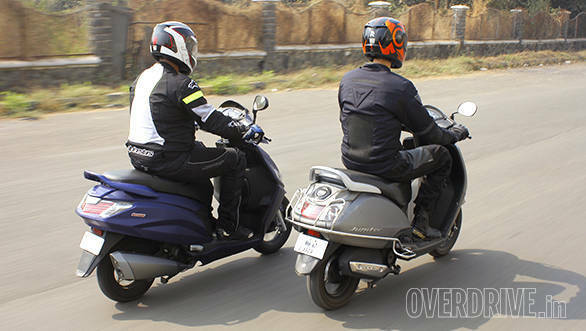 Both scooters offer the convenience of external fuel filler caps that reside above the tail lamp. The Edge takes it a step further with a plastic cover that hides the actual fuel cap. 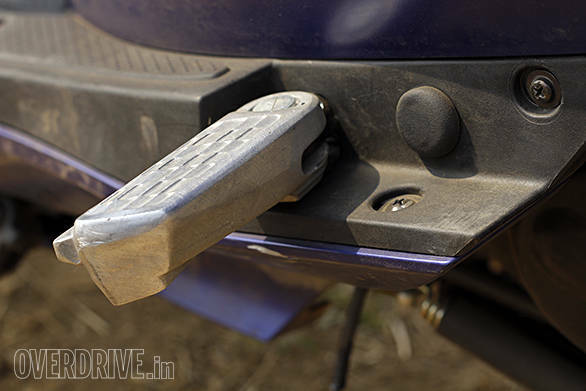 We also like the fact that Hero has neatly integrated the fuel filler cap and boot lock into the main ignition slot itself so the key never has to come out. 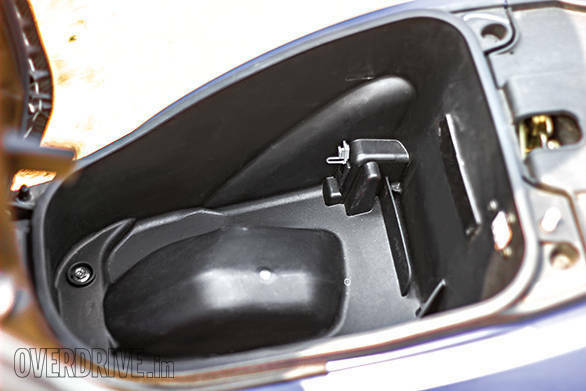 The Jupiter releases its fuel filler cap from the side mounted boot release keyhole. The Jupiter offers a safety sliding cover for the ignition that can only be opened by using a small plastic extension integrated into the plastic key fob. The Jupiter uses a conventional analogue instrument gauge that has a speedometer, fuel gauge and what TVS calls an Econometer. This is basically two small lights, one red and one green that work based on throttle position. Be gentle with the throttle and the green light comes on, get aggressive and it turns red. The Edge gets a simple but comprehensive instrument display with features normally seen on motorcycles. Simple but detailed dials on the Maestro Edge show time, trip and service due information. The speedo is analogue but a small digital screen has a bar type fuel gauge, a trip meter, and a digital clock. The Hero also has a service due indicator and a side stand down warning light. Both offer seven colour options and a couple of matte shades each. We'd suggest you stay away from the allure of matte finish as it's notoriously hard to maintain and scuffs easily. Finish levels on both are high but the Jupiter is slightly better as we noticed a couple of unpolished bits on the Hero, like the rough finish on the metal foot pegs for the pillion. 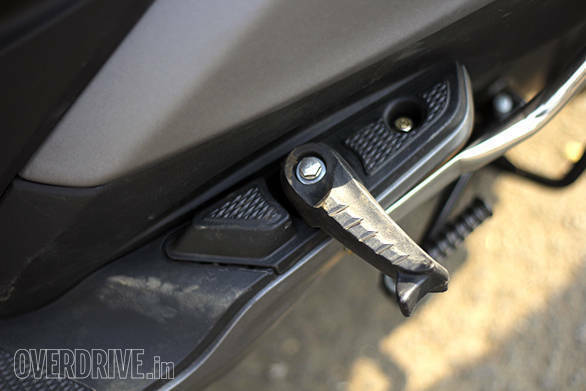 The Jupiter's aren't metal but are among the most thoughtfully designed pegs we've come across with a small extension moulded into the unit to allow the pillion to easily extend them with the toe. The Hero also has a similar extension but it's very small and not as usable. Both scooters offer two carry hooks, one on the front apron and one under the seat hinge. Both also have the usable feature of a pass-light switch built into the high/low beam switch. However, the Edge also offers a small lamp as well as a USB 3.0 charging port in the underseat storage area, both useful features. The Jupiter has a provision for a mobile charger but doesn't actually offer one as standard. The front storage box you see on our test Maestro Edge is a `1,200 optional extra and is designed well so as not to foul with the knees, even for tall riders. 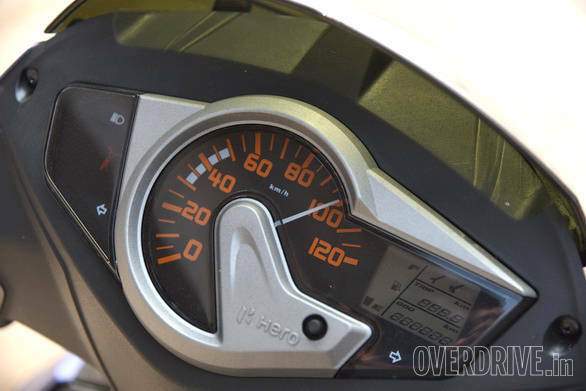 Hero also throws in an engine immobiliser on the higher VX variant. The Jupiter looks smaller in the pictures and feels that way in the saddle. In terms of the riding position, the Jupiter is similar to the Edge in how it accommodates riders of all sizes, including 6'1'' me without the knees touching the handlebar. However, I found that the Jupiter's seat is far too soft  it feels nice for the first ten minutes but then you start to sink in and things start to get sore. The Edge has a firmer seat and this was appreciated by both riders and pillions over a longer period of time. 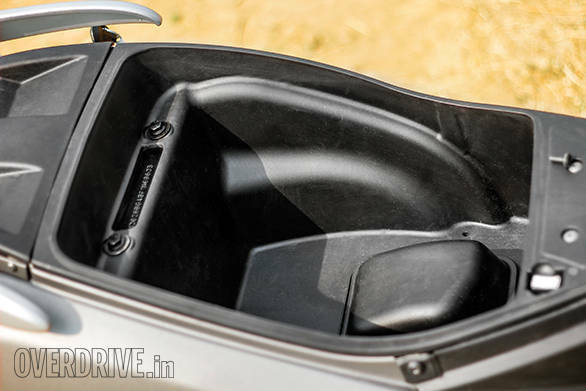 The Edge's seat is also wider and flatter at the rear which increases pillion comfort. Both have practical and easy to use grab rails. In terms of sheer comfort, the Edge is ahead. With scooters displacing just 110cc, every bit of horsepower counts and it is the Maestro that edges it with 8.43PS and 8.3Nm. That's nearly half a horsepower more than the TVS. Logic would dictate that the Edge would be quicker but the Jupiter surprises. 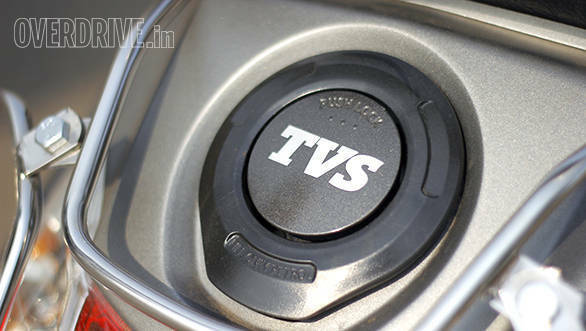 The TVS engine feels more urgent at low revs and it was 0.6s faster than the Edge from 0-60kmph. Perhaps the difference is because the Jupiter's power and torque peak lower in the rev range. Both scooters have almost identical top speeds that hover around 85kmph. quick enough but the Jupiter has the advantage here. 12-inch wheels and telescopic forks made the Jupiter an enjoyable handler but the Hero does the job better. The Jupiter's suspension feels soft in comparison and on a smooth road at mild speeds, it feels the better of the two but such roads are few and far between. On the typical Indian road, the rear tends to bounce through sharp bumps or potholes and the extra softness is apparent at high speeds. The Edge also has telescopic front forks but it's the rear suspension that impresses, absorbing bumps and imperfections well. It may be stiffer but never thuds. Like the seat, this firmness will be appreciated in the long run. 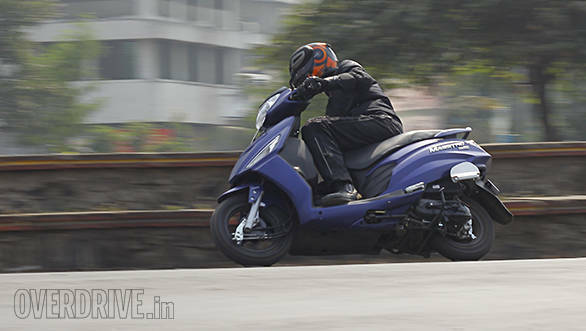 Hero chose to give the Edge a 12-inch front wheel and a 10-inch rear, reasoning that the benefits of a 12-inch rear weren't high enough to justify the extra cost. I find myself agreeing because there isn't any negative sensation to be felt in the real world. In fact, the Edge is a thoroughly composed and willing handler and can be confidently leaned over to side stand scraping angles. Short of the telepathic Scooty Zest, this is the best handling scoot out there. The Jupiter has sharper brakes but the Edge counters by offering combi brakes, a technology that applies a dash of front brake when the rider squeezes the rear brake lever. 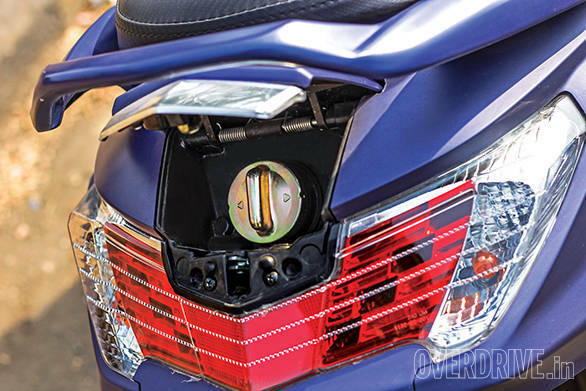 This helps increase braking performance and slow the vehicle down faster when the rider uses only rear brakes as so many scooter riders inadvertently do. It's not something that capable riders enjoy but a tremendous safety feature for the general scooter riding public. 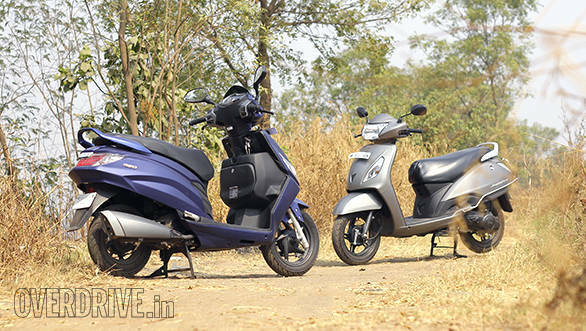 Hero has done a good job of benchmarking the Jupiter and these scooters share a lot of design and engineering similarities. They're both priced nearly on par as well, the Rs 66,300 Jupiter ZX costing just Rs 144 more than the Maestro Edge VX. But Hero didn't just stop at building an equal scooter, they took it a step ahead. The Edge looks great, has excellent road manners and the best set of usable features on any scooter today. Hero offers a five year warranty as standard whereas on the Jupiter, that would set you back by another Rs 350 although the dealership we called was charging Rs 750 for the same. This marks the first comprehensive win for a Hero product in a long time. Welcome back Hero!